Thanks to Carsten Knobloch a.k.a. Caschy, a german blogger, I found an interesting software. 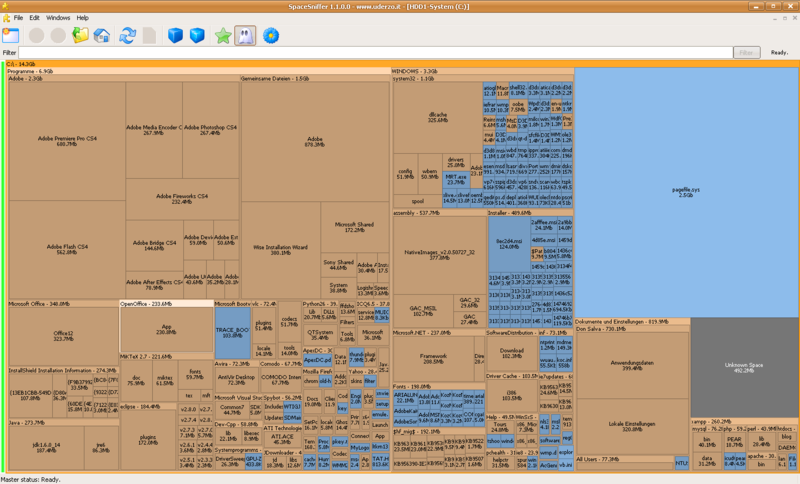 SpaceSniffer allows you to show how much disk space each application, down to each single file, uses the graphical way. It’s available for Windows 2000, XP, Vista and 7, and it’s freeware! One use, suggested by Caschy, would be to delete unnecessary files if you plan to do backups. Saves time and disk space. I’m sure there are other uses for it, I personally use it to check usage by each application I have installed.